For the last few months I’ve been keeping tabs on all the Manhattan bakeries that sell caneles. This spring I became a bit obsessed with the little French pastry from Bordeaux. Then, I received a timely tip that Canele by Celine was offering multiple flavors of her canele at the Spresso Bar of the Sanctuary Hotel. Unfortunately, I was too slow as that Bar closed before this slow moving blogger was able to respond. Then, I heard Celine would be selling her wares at Chelsea Market and after that at the new Chelsea Triangle French Market (right outside of Chelsea Market), and that’s where I finally caught up with Celines canele (although I still haven’t met Celine herself). 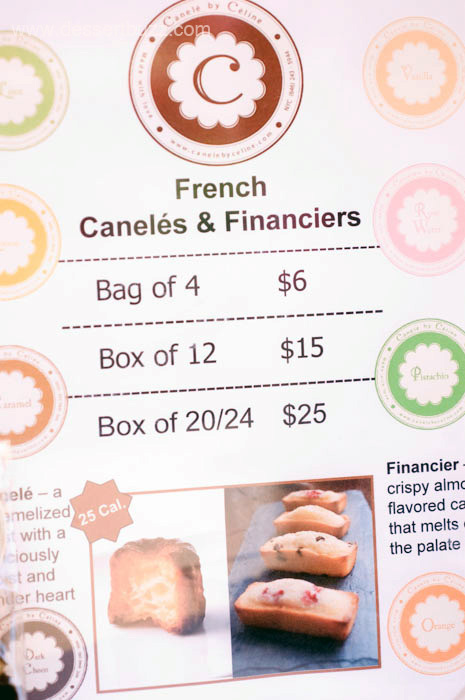 When I first heard that someone was offering ten different flavors of canele and planning to sell them out of a truck, honestly, I was suspicious. I was concerned it was a gimmick designed to cash-in on food-truck-obsessed New Yorkers. 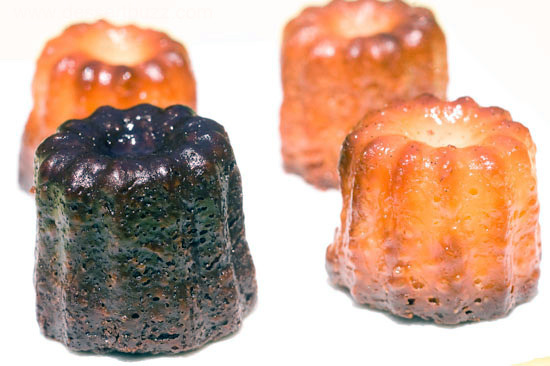 Besides, I had never heard of any other flavor of canele except rum or vanilla. All that said–I do try to keep an open mind when trying a dessert or pastry for the first time–no matter what I’ve heard. In this case, I’m glad I did, because these things were excellent! In fact, not only were the caneles excellent but the different flavors, especially the dark chocolate, really worked for me! 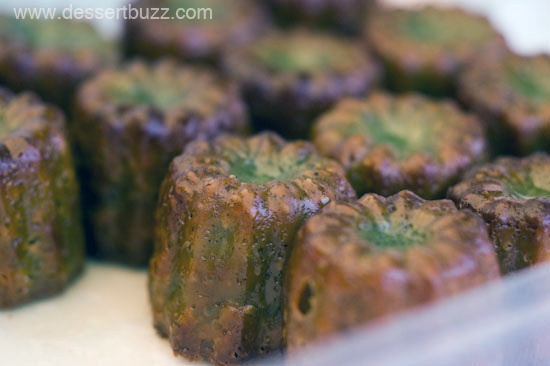 All the more impressive was the fact that last Friday when I tried them, it was nearly 95 degrees outside and hot and humid–I was certain the canele would taste like soggy sponges–but they didn’t. They didn’t quite have the crusty outer layer that the fresh caneles from Balthazar or Dominque Ansel Bakery have if you get ahold of them first thing in the morning. However, I plan to try Celines Canele at least one more time when her pasty haven’t been exposed to the harsh NYC summer elements. As I mentioned, the chocolate flavor was the most surprising. 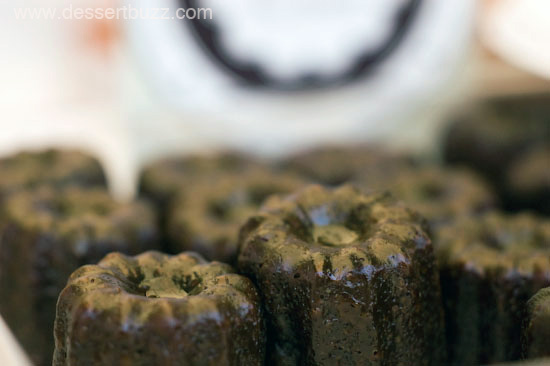 It tasted just like the canele that I love, but it had a nice dark chocolate flavor that didn’t add any sweetness. Why hasn’t anyone done this before? Maybe they have and I just don’t get out enough? The orange was similarly delicious. 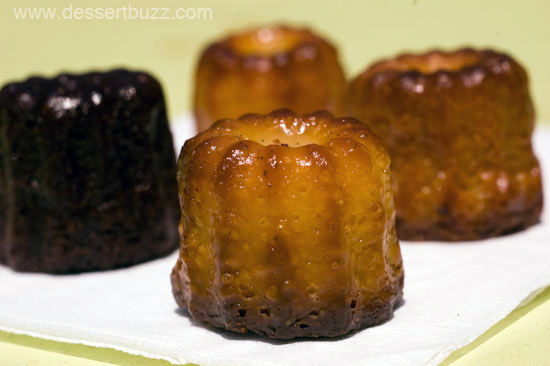 It had a nice orange zest flavor but was still basically the flavor of a standard canele. The flavors available last Friday were Vanilla, chocolate, orange, pistachio, caramel, pink water and lime. A complete list of flavors is available on their website. The Caneles by Celine website is here. Their Facebook page is here. Follow DessertBuzz on Twitter for all your New York City dessert news.